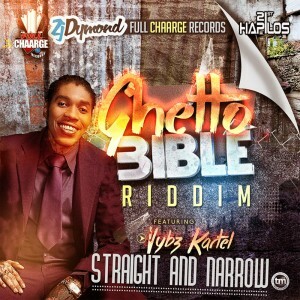 Responsible for a slew of top charting hits such as his latest production “Special Delivery” performed by dancehall superstar Vybz Kartel, Rvssian for popular Head Concussion music has become a staple on worldwide dancehall and reggae charts. Blazing the airwaves, “Special Delivery” is out now on all major online stores such as iTunes distributed by 21st Hapilos Digital. Billboard charting producer Ricky Blaze known for his work with some of the biggest names in Dancehall, Reggae and Hip Hop such as Vybz Kartel, Gyptian, Jim Jones, Major Lazer, Nicki Minaj and many more notable acts, and acclaimed popular DJ Norie, producer in his own rights, and resident DJ at NY’s #1 station Power 105 have joined musical force with the production of “Girl Like You“. Major forces in the music industry, the two have joined their keen talent for the hit bound single. 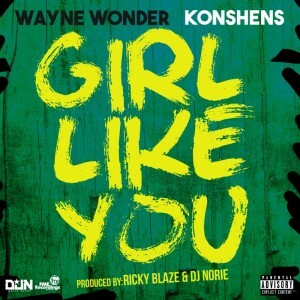 A DJnMusicGroup/FME Recording project “Girl Like You” features the voices of two of dancehall and reggae biggest names, International reggae crooner Wayne Wonder and dancehall star Konshens. Both artists known for international strings of hits and major success on worldwide airwaves are the perfect combination with smooth soulful vocals and catchy prolific lyrics. 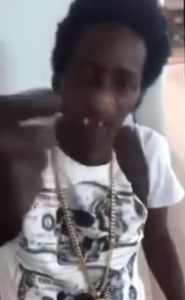 Controversial dancehall artist Alkaline wants the ladies to “Mi gyal, bend yo back mi like how you a gwaan When you whine no clothe you nuh fi have on No gyal, nuh santa nuh in a fi yo class Bend yo back everybody fi look when you a pass“. 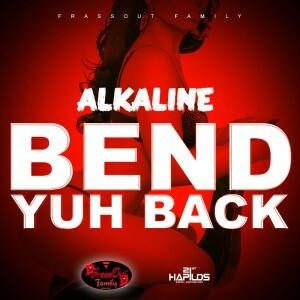 The dancehall single“Bend Yuh Back” produced by Frassout Family and distributed by 21st Hapilos Digital is out now on iTunes and all major online stores. After the concert is done, the dance lock up, where do you go? 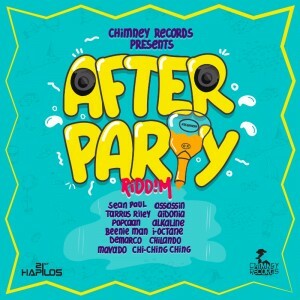 Chimney Records invites you to the “After Party” Riddim to party with Grammy Award winners Sean Paul with “Ganja Mi Smoke” and Beenie Man “We Run Road”, Agent Sasco “Everybody Rock”, Demarco “Who The Hell Cares”, Popcaan “Inna Di Lobby”, Tarrus Riley “Good Family, Good Friends”, Aidonia IV “No Man To Mi Spilff”, I Octane “Get Gyal”, Alkaline “Living It Up”, Chi Ching Ching “Coob Dem Up” and Chilando “everything Check”. Distributed by 21st Hapilos Digital, “After Party Riddim” is available on iTunes. With the accolades of the first reggae artist to top the Billboard rap singles chart, Mad Cobra name is forever embedded in dancehall history. 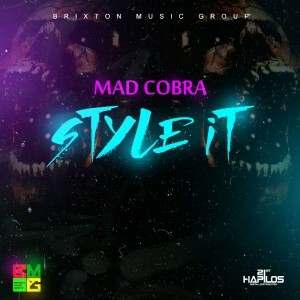 His latest single “Style It” produced by Successful Brixton Music Group and distributed by 21st Hapilos Digital has taken social media by storm and quickly made it’s way onto various charts. “Style It” is now available on iTunes. 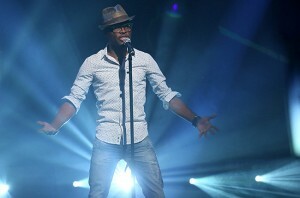 Jamaican singer OMI has reached the number two position on the Billboard Hot 100 Chart! 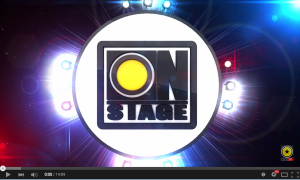 Within a week, OMI has moved up one place to the second position after 11 weeks on the chart. jhnBillboard.com says the Jamaican reggae artist’s breakout hit Cherleader, remixed by Felix Jaehn, has found global success; the song also led the Official UK Singles chart for four weeks. Other Jamaican acts who have been on the Billboard Hot 100 include Shaggy in with It Wasn’t Me and Angel both in 2001 as well as Sean Paul with Get Busy in 2003. 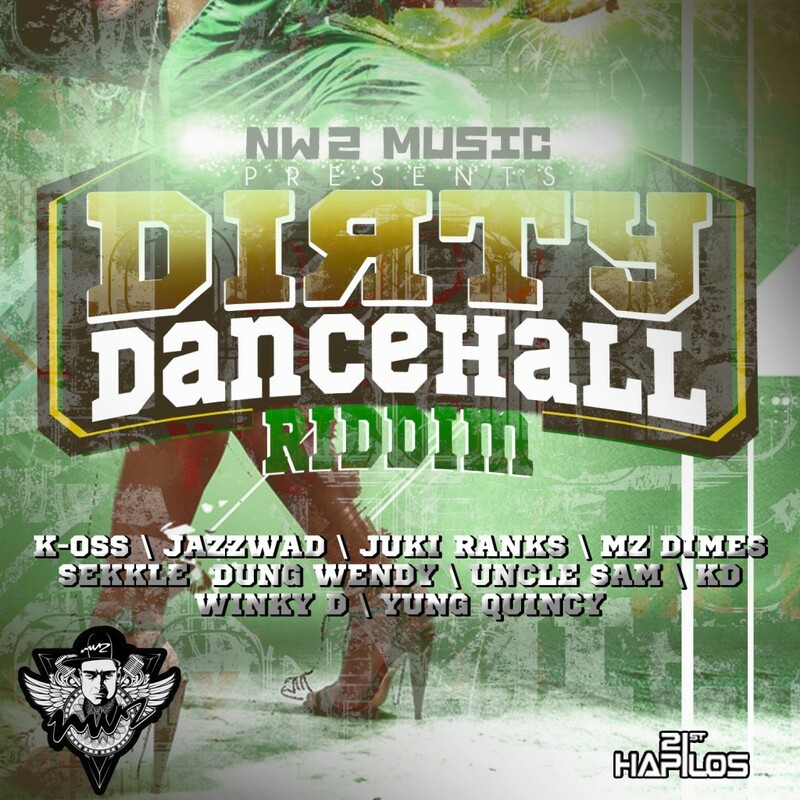 Studio Vibes Entertainment presents “Pandora Riddim”. The star studded riddim features the musical selections of Grammy Award Beenie Man, Vybz Kartel, the Dancehall Duchess Tiana, Elephant Man, Konshens, Chan Dizzy & J Capri, I Octane, Sizzla & Ninja Kid, Delly Ranx, Munga, Delly Ranx, Rico Tayla, Shane Hoosong, G7, Currenci and Formila One. “Pandora Riddim” is out now on iTunesvia 21st Hapilos Digital. 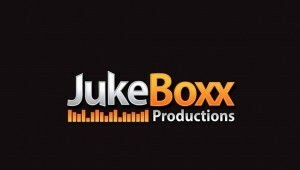 Hot Pepper Entertainment (Promoter) entered into a contractual agreement with Juke Boxx Bookings on April 9, 2013, to book several artistes, one of which was Busy Signal (Reanno Gordon), for a proposed show in Trinidad. Hot Pepper Entertainment subsequently sent incomplete deposits in incremental wire transfers totaling approximately USD $30,000.00 to secure the artistes’ performance at this engagement. Hot Pepper Entertainment was unable to honor their contractual obligation to remit the outstanding deposit amounts despite numerous extensions and the demonstration of leniency on the part the Juke Boxx team to assist the promoter. 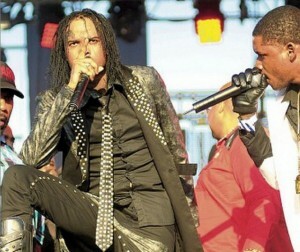 After the separation of Busy Signal from Juke Boxx Productions, all documents relating to Gordon’s business affairs, and future contractual obligations were turned over to his new management, including the above mentioned deposit amount due to him of US $22,500 for them to proceed with the engagement, at their own discretion. It is therefore rather strange, that Busy Signal and his new management team claim ignorance of this issue, when all details and amounts collected on their behalf were handed over to them. It is also our understanding that they chose to refund a portion of the deposit collected to the Promoter. The Juke Boxx Management Team would like to caution, that invalidated accusations can be defamatory for which individual/s can be held liable through the courts as a consequence. Earlier this month we hosted a remix contest in partnership with the legendary reggae group Inner Circle and their record label Warner Music, for the track ‘Tenement Yard’ ft. Chronixx & Jacob Miller. 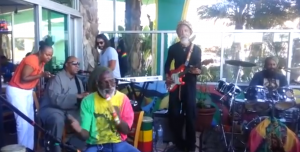 This track is particularly special to the group since they recorded the original with the late reggae pioneer Jacob Miller in 1976, before a tragic car accident took his life a few years later. For Inner Circle, the contest represented an opportunity to let young producers breathe new life into their classic hit, and to give a whole new generation the chance to work with a piece of reggae music history.The contest received significant attention from blogs and other digital media channels, resulting in over 350 contest entrants and 60 remix submissions! 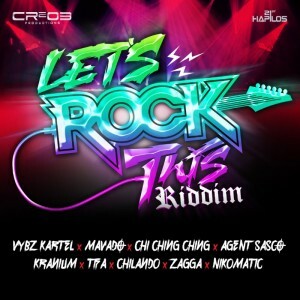 Though many remixes blended traditional roots reggae and dub elements, several producers tried creative ways to embed tropical house, future house, electro, dubstep, jungle, drum and bass, and various other genre’s into their remixes. The Inner Circle crew and their label especially liked the tropical feel good vibes in a remix submitted by Swedish up-and-coming producer, Cookie Climber, and have selected his entry as the contest winner, earning him a release on Warner Music for the ‘Tenement Yard’ remixes EP! The two runner’s up, Medial Banana and D&A made the decision quite difficult with their quality remixes, and deserve some recognition from the SKIO community for their work. This being only the second remix contest hosted on the SKIO Music platform, the substantial increase in traffic resulted in helpful user feedback. We are happy to announce that our SKIO developer team is already working on incorporating these improvements into the platform for our future contests. That being said, we’d like to take this opportunity to thank our SKIO Music family for your patience in waiting for a winner announcement and for giving us valuable feedback on the remix contest format. Together we can truly build SKIO into a platform where artists from all around the world with various skill levels and styles can engage with high quality content and create meaningful collaborations! What better way to kick off the summer than with Nicki Minaj, Chris Brown, Kelly Clarkson, Pitbull, Jason Derulo and Shaggy? Yes that’s right the summer has begun and the concerts are popping up all over the United States with some of the ‘hottest’ artists for the summer and our dancehall/reggae icon Shaggy is on the line up with them all. 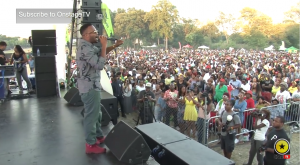 This past weekend Shaggy headlined two major concerts. 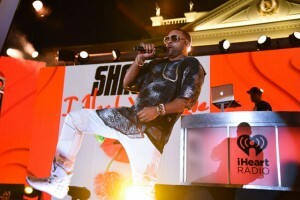 On Saturday he was in Las Vegas, Nevada at the iHeart Radio Pool Party held at the Caesars Palace. Hosted by Nick Jonas, the concert, which was streamed live, featured some of music’s biggest stars including Chris Brown, Nicki Minaj, Kelly Clarkson, David Guetta and Shaggy. Shaggy served the crowd with hits after hits on the outdoor stage. Opening with one of his many classics “Boombastic” the crowd was thrilled. “When Shaggy hit that stage the party got started, he has the perfect songs for any party especially a pool party” says Megan Wickerman of Detroit. Shaggy served an electrifying performance and dug into his vast catalog with “It Wasn’t Me”, and “Angel”, which he performed with Rayvon, and his brand new hit sing ‘I Need Your Love’ which thrilled the bikini clad crowd. It was now off to New York for the KTU Phoria concert held by KTU 103.5 FM at Nikon Jones Beach Theatre, Long Island New York. Filled with several thousand fans ready to see Shaggy, Pitbull, Kelly Clarkson and Jason Derulo just to name a few, rain was not going to stop this party. With the long cold winter that New York experienced, Shaggy was adamant that he was ready to bring the heat. 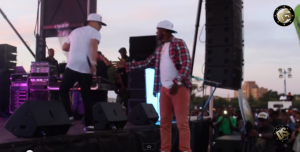 Supported by his DJ Kue and Rayvon, Shaggy walked on stage to a warm warm welcome and ignited the crowd with his new single ‘I Need Your Love’. Drowned out by the audience singing the chorus it was evident that this billboard hit single is a staple for the summer clubs and concerts. 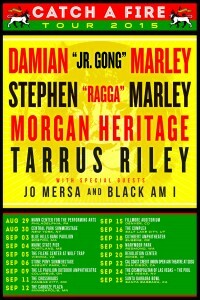 Shaggy who recently returned from his Austarlian tour, has a jam pact summer schedule. His next concert will be on June 6 at Xfinity Center, in Mansfield Massachusetts, where he headlines JAM’N 94.5 Summer Jam with Trey Songz, Natalie LaRose, Fetty Wap and Jordin Sparks just to name a few. Immediately following Summer Jam, Shaggy jets off to Colombia for another performance and continue the promotion for ‘I Need Your Love’, which is currently #73 on Billboard Top 100. Usain Bolt is a neighbor from hell, at least so says Sean Paul’s wife Jodi Stewart-Henriques. Apparently, residence in the upscale Norbrook community in St. Andrew have been complaining about the loud noise from cars, motorcycle and music coming from Usain Bolt’s house. “So convenient that the part about the multiple gunshots on 2 different occasions was left out,” Jinx tweeted on Friday. Bolt fans have been bashing Jodi Jinx on social media ever since she made the post with some caller her a bully. 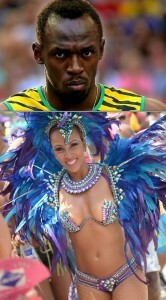 Usain Bolt has not responded to the allegations. 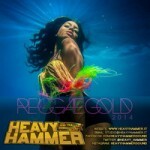 Reggae_gold_vp_recordsFor over 20 years, the world’s #1 Caribbean music compilation Reggae Gold brings the genre’s top hits into one must-have collection for the masses. 2015’s installment, out July 17, 2015 on VP Records, is filled with the season’s freshest sounds in roots, dancehall, lover’s rock and pop-fused reggae from a diverse group of talent. From the Canadian pop supergroup Magic’s #1 Billboard single “Rude” to comedian/actor/singer Eddie Murphy’s return to reggae on his latest single “Oh Jah Jah,” (following his 1993 Shabba Ranks collab “I Was A King”) – there is no shortage of crossover appeal on Reggae Gold 2015. This year’s installation features a multitude female artists reigning in reggae today – from emerging stars like the Rastafarian singer Jah9 (“Avocado”), reggae pop princesses’ Toian (“Love It”) and Ikaya (“My Man”) to Jamaica’s leading ladies, like dancehall diva Spice (“Conjugal Visit” ft. Vybz Kartel), the soulful songstress Etana (“I Rise”) and roots reality lyricist Queen Ifrica (“I Can’t Breathe”). 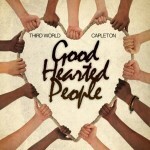 The latter song carries a strong message to stop police brutality and racial profiling worldwide. delivers his stellar new anthem “Jamaican International Dance.” Singer-songwriter Christopher Martin turns heads with the island’s chart climber “I’m A Big Deal,” while overnight sensation Gully Bop proves ground with his popular tracks ” My God Dem Nuh Bad Like We” and “Body Specialist.” Dancehall star Busy Signal drops lyrical fire on the flirtatious fun track “Text Message,” and Gyptian unveils his latest steamy single “All On Me.” Every song counts on this collection. A staple for over the past two decades on the international music scene, Sanchez (Kevin Jackson) epitomizes the genre of Lover’s rock by having covered some of the most romantic songs of all time as well as his own classic lyrics, fusing reggae and R&B. For years Sanchez music as stood the test of time and music lovers were serenaded to an arsenal of hits after hits which led him to the billboard charts. Besides numerous awards and accolades, it was almost a year ago to the date that the city of Miramar in Florida took the time out to honor and recognize him for his contribution to reggae music and his career accomplishments, May 17th, 2014 was officially proclaimed as Sanchez Day in the City of Miramar. 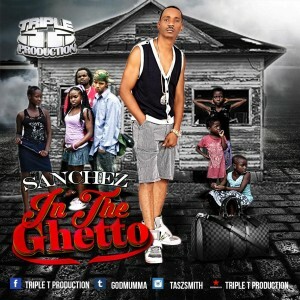 For the past few years the international reggae crooner has been delivering music sporadically, as well as a critically acclaimed album, but on his latest single titled “In The Ghetto”, Sanchez wants his voice to be heard. The song is a departure from his usual romantic themes as Sanchez belts the familiar words “People, don’t you understand the child needs a helping hand or he’ll grow to be an angry young man some day Take a look at you and me, are we too blind to see, do we simply turn our heads and look the other way”. Speaking of this latest endeavor, Sanchez explained “Every day I hear the news from home to abroad, and it seems like another person died in vain, so many angry people. I am hurting for humanity and the best way for me as a singer to have my say, is with my voice, with lyrics.”, he further added “I grew up listening to this song, I even won an award and a standing ovation in school with my rendition. So when I received the riddim, the words came back to me, It made sense, a hurt child becomes an angry adult, and more often enough society turns a blind eye, especially IN THE GHETTO”. The single produced by Triple T Production will be available on all major digital markets by the end of the month. 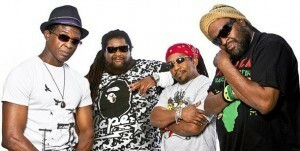 Triple T Production is ​responsible for some of ​acclaimed music from Natural Black, Luciano, Turbulence, among others. Dancehall artiste Cutty Ranks is making EDM waves, courtesy of English duo, Chase and Status.The track, International, samples the deejay’s 1991 single The Stopper. Formed in 2003, Chase & Status comprise London duo Saul Milton (Chase) and Will Kennard (Status). 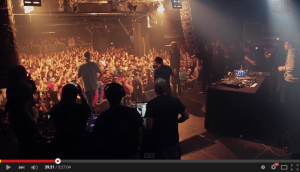 “It was great working with Chase and Status. They are signed to Universal, and they shot the video in London, a few months ago. Since the video came out, it has been doing well. 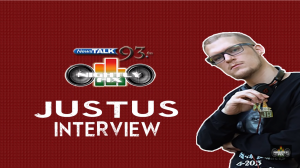 Skrillex has also done a remix of International as well that is also doing well on several video platforms,” Cutty Ranks says. International, released in the latter part of 2014, is making the rounds on social media. A video on the VEVO platform has racked up over 1.3 million views. 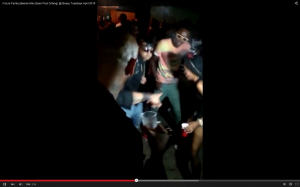 This is not Cutty Ranks’ first EDM foray as he did a remix with Major Lazer a few years ago. “I found out about it some time last year. It was a remix of one of the songs I did with John Dub, founder of London Fashion Records, which had produced songs like Limb by Limb and The Stopper in the ’90s,” he said. Cutty Ranks (given name Philip Thomas) was born in Clarendon. 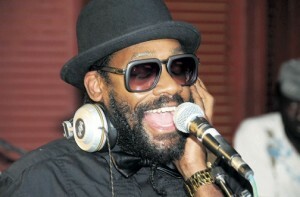 He came to prominence in the late 1980s with songs like Gunman Lyrics. A decade later, he made it to the mainstream with The Stopper and Fly the Gate. 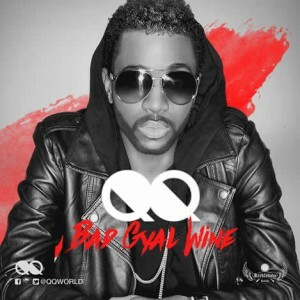 After years of being labeled a “child star” in the dancehall industry, recording artiste, QQ has revamped his image and is showing off a sophisticated new look! His new promotional material sees the singer clad in an all-black ensemble, including a black leather jacket, designer shades, and sporting that perfect five o’clock shadow that women swoon over! –a look that definitely depicts his maturity. “People grow. It’s ok to grow and although some find that difficult to grasp, I’m embracing this growth. I’m expanding and expressing myself and hoping the move will enhance my international profile and propel my career to the next level.” The singer says. 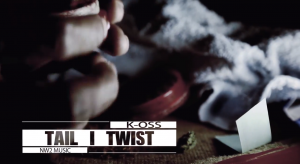 The new visual coincides with the release of his new single, Bad Gyal Wine, produced by Kirk ‘Kirkledove’ Bennett of Kirkledove Records. 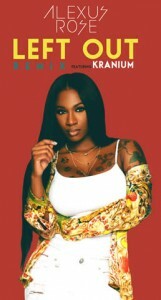 Making her name for herself since her arrival on the musical scene by working with billboard charting producer Ricky Blaze, soulful R&Bsongstress Alexus Rose vocal abilities rival some of today’s biggest stars. The young artist star power has been omnipresent in both her various singles and videos. 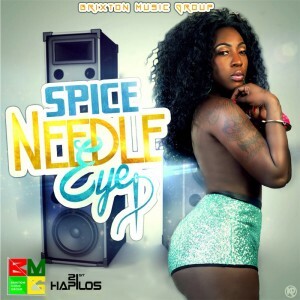 2015 Reggae/Dancehall artiste to watch K-OSS drops brand new mixtape hosted by Moviestar Johnny, popular London Selector and radio personality. 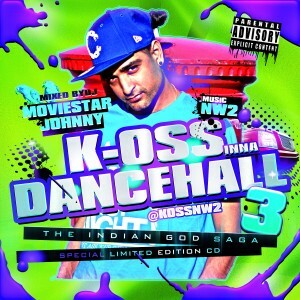 The mixtape, ‘Indian God’ a high energy dancehall mix is a hot-pot of dancehall culture, with various releases by NW2 Music with a number of pre-released tracks by K-OSS that are scheduled for release this year. This collection of dancehall songs is a great insight into the young and fresh artiste, which reflects Jamaican youth culture at core, in a very British yet eccentric fashion. Dancehall culture has a vibrancy that this little Indian kid boasts with some swag – though this a dancehall collection, K-OSS’s music has incorporated a far more cultural journey, especially works such as ‘A World Of K-OSS’, a host of vintage reggae classics, with many tracks recorded in the top Jamaican reggae houses in the 60’s and 70’s, in Reggae’s golden era. The works, an exceptional insight into this multifaceted reggae act – the reggae LP platformed with reggae legends Uroy and Dennis Alcapone, only adds to the interest and calibre of this new London artist. In these times, the focus for developing artists is the live industry, and this little Indian kid from London is teamed with top musicians and producers from around the world with an exciting catalogue of fresh and high quality songs. This kid is one to watch for at festivals around the world. After a moderately successful run with Josef Bogdanovich’s Downsound Records, former Magnum Kings and Queens of Dancehall runner-up, Specialist has left the label after nearly four years. The severance of ties was announced by Specialist Monday, ending a relationship which saw the deejay record several hits with the label such as Do For Love (feat. 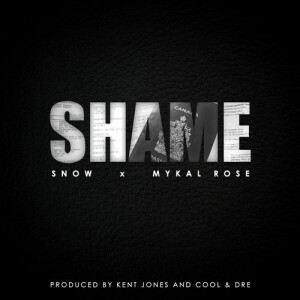 Ishawna), Come Wine (feat. Spice), Dweet featuring Ninja Man and Phone Card, the single which helped launch him to public acclaim after initially performing it on Magnum Kings and Queens. Reports suggest Bogdanovich refused to renew Specialist’s contract after it expired in August of last year, thus leading to the split. 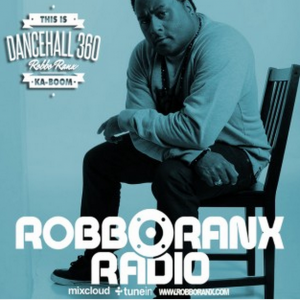 In the meantime, Specialist has joined forces with Denham Town-based label, 3R40 Records, a label full of upcoming producers who he insists have some rhythms and material ready to take the industry by storm. he key to success for any entertainer is reinvention and quality music. Although music taste is subjective, the common thread of quality will always succeed albeit be a commercial hit or not. That train of thoughts is what Future Fambo claims for the new year. Evolve and Rebirth! 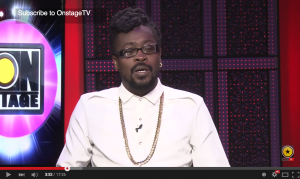 Since his entry in the musical scene, Future Fambo scored various hits such as the chart-topper Kung Fu and remained constant through the years while connecting with newer generations through positive songs and party anthems Drunken Dance, Rum and Red Bull featuring Grammy award winner Beenie Man and This Life among many others. But to fans of the artist and music lovers it seemed as if Fambo took a musical hiatus. 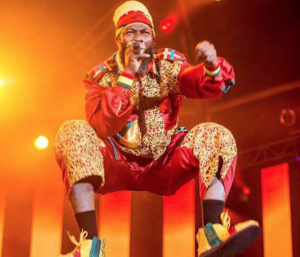 “Well I have been touring extensively in the states and other countries around the world both independently and also with the King Beenie Man. I may have been out of sight in Jamaica but I have been working on my craft and image while out of the Jamaican Diaspora. This is a new me physically, mentally and creatively, I have been recording for top local producers such as Seanizzle, UIM, Richieloops and also a few upcoming overseas producers. The foundations has been set so now its time to step out and make the moves and get the movement up and running. I am also happy to tell my fans that I have also recently signed a 1 album deal with american based indie label “Blaze Entertainment Records Inc” which is a big deal for me because this is my first ever album, so you will definitely be seeing more of #BrandFambo in the mix.” stated the reggae/dancehall star. 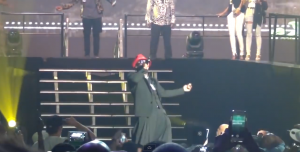 2 lead tracks were recently released in anticipation of the album, “Bloodclaute Song” for the streets, and “One More Time” a friendly radio hit. 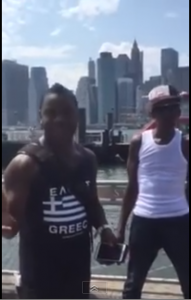 The feedback has been very positive both locally and internationally and will garner a video to be shot on location in New York while Fambo is there headlining the “Be True, Be You” benefit concert. While the musical fans recognize Future Fambo as Mr. Rum & Redbull, the man born as Warren Gladstone Williams, is extremely proud of the fact that he hails from the “Garden Parish” of St. Ann, along with some of the most iconic legends of Jamaican culture. Growing up his talent shined immediately, by the age of eight a young Future Troubles (as his was known) began performing for local meetings. By his teen years vocal talent gave way to physical and saw him as a member of the dance group “Crazy Boys”. As childhood passion gave way to a viable livelihood, Future Troubles evolved into Future Fambo turning his hobby into a career. From his first hit “Iya Iya Hoo” (fashioned after a Jackie Chan movie), Future Fambo realized his knack for creating that perfect high energy song that’s easy to grasp yet exciting enough to incorporate dancing. 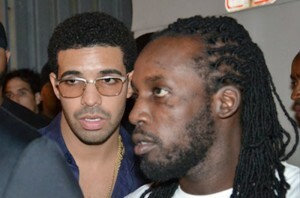 This combination has made Future Fambo one of the few sustainable Dancehall acts over the last few decades. 2010 saw a groundbreaking revitalization within the grasp of Dancehall, one particular riddim and song tapped into that energy. 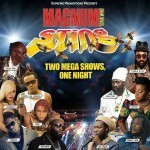 Fambo’s mega crossover hit “Rum and Redbull” featuring Beenie Man, produced by Seanizzle. 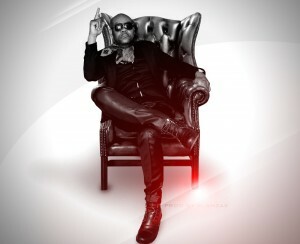 Future Fambo was able to keep the party flowing with follow up singles like “Wedding Crasher” (w/ Sean Paul), “Faded”, “Drunken Dance” and “Swaggin” (featuring Wayne Marshall & Tifa). While Fambo has worked or collaborated with just about everyone in the Dancehall genre from producers to artist, his creativity and seasoned artistry affords him many opportunities to create with a variety of production houses to date. 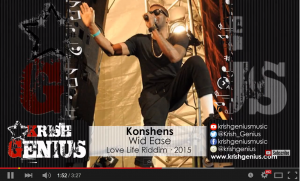 Recent releases include singles from Seanizzle, Kapa Shanti and UIM Records. In August 2014, Fambo inked a deal with US based label, “Blaze Entertainment Records”, which has set out to produce and release Future Fambo’s debut album “Evolve – The Uprise”. Through Blaze Ent, Fambo’s album will see production from Grammy winning producer Magnedo 7, Richie Loops, Blahzae, Stylez and Sisco Kennedy. While the album awaits an official 2015 release date, it’s receiving rave reviews from industry tastemakers such as Atlantic Records own Mike Keran and Dancehall gatekeepers. Premiere singles “Bloodclaute Song” and “One More Time” will mark the promotional launch for “Evolve – The Uprise”. So if “Rum and Redbull” is Future Fambo’s current legacy, just sit back and have one more as he journeys to legendary. 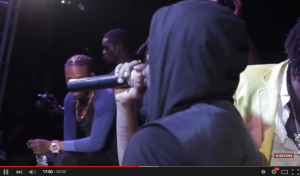 A United States woman launched a petition to have dancehall star Mavado deported to Jamaica. But the “So Special” deejay’s fans are rallying on social media against the petition. Trudy A Miller, a resident of Maryland, launched a petition on the White House website claiming that Mavado is a non-residing felon and should be deported. Sources close to the Gully Gad said that he is undaunted by the petition and see it as just a ploy to destroy his career. 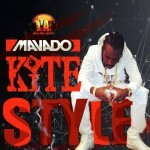 “Is just a ploy from another badmind individual looking to destroy Mavado’s career,” the source said. “Mavado worked hard to build his career and always giving back to his community and these people are not seeing all of that, tell me what is this Trudy Miller person doing for her community,” the source added. Thousands of Mavado fans have took to Twitter and Facebook to bash Trudy Miller and voice their support for the singjay. The petition did not get enough signature for the US government to respond to it. 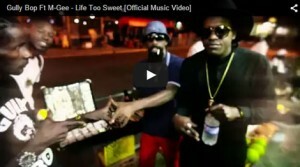 Vybz Kartel life in prison is getting dangerous. 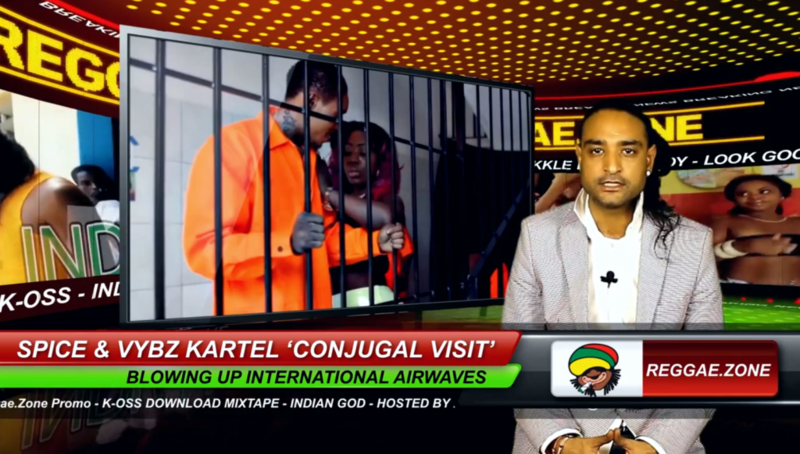 Reggae.Zone learned that there was a plot to murder the reggae star in prison. 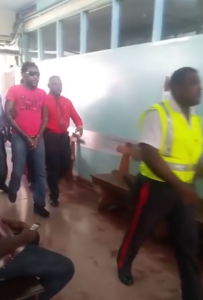 Sources told Reggae.Zone that an ancillary worker smuggled two bottles of a poisonous substance and two ratchet knives into the maximum security section of the prison where Vybz Kartel and his three co-accused are serving their life sentences. 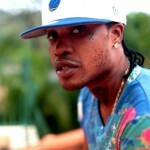 “I don’t have all the details but from what I’ve learned there was a breach and knives and a poisonous substances was uncovered in what is now believed to be a plot to kill the deejay (Vybz Kartel),” the source has said. The source suggested that the ancillary worker involved in the plot was allegedly working with another prison inmate. “A prison inmate is believed to be involved in the devious plot. These badmind people want to kill Addi. Haven’t they done enough already to put him in prison,” the source added. Law enforcement sources have not yet confirmed the reports. 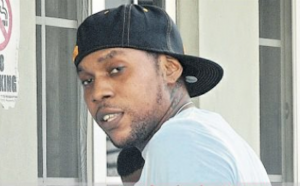 Vybz Kartel, born Adidja Palmer, as well as, his protege Shawn Storm, and close friends, Kahira Jones and Andre St. John are all currently serving a life sentences for the murder of Clive “Lizard” Williams. 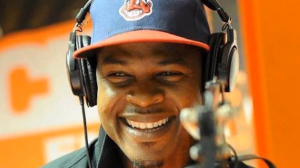 The “No Games” deejay has filed an appeal to overturn the conviction. Dancehall artist, Kranium, who made waves on Billboard with his hit single, Nobody Has To Know earlier this year, has signed a deal with prominent American record label, Atlantic Records, according to reports Wednesday. 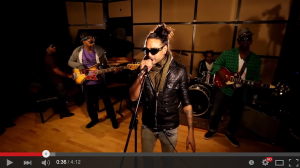 The Jamaican-born singjay, who is currently based in New York, joins a label that features many elite international musicians, including Bruno Mars, Janelle Monae and David Guetta, among others. Atlantic is also the label that propelled Dancehall superstar, Sean Paul to international super stardom, including his sophomore album, Dutty Rock, which went multi-platinum in the United States and won him a Grammy Award for Best Reggae Album in 2004. 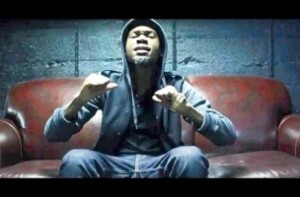 The entertainer, whose real name is Kemar Donaldson, struck gold with Nobody Has To Know, which peaked at number three on Billboard magazine’s Next Big Sound chart and earned regular rotation on HOT 97FM. 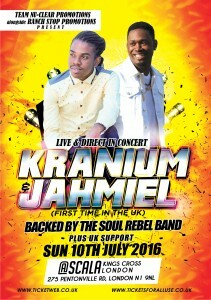 Kranium was born in Montego Bay, but moved to Florida in 2005 before heading to New York the next year. 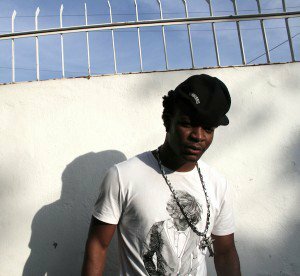 He opened shows for the likes of I-Octane, Gyptian and Tarrus Riley before landing his big break. 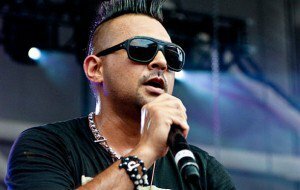 Grammy-winning deejay, Sean Paul is facing death threats after a terrorist group in the Maldives warned the entertainer that they will kill him if he sets foot in the country for a scheduled performance on New Year’s Eve. In a YouTube video posted late Wednesday night by a Maldivian Jihadi group with links to Syria, they relayed a very cryptic, blunt message to the deejay that should he go through with the set, he may not make it to 2015 alive. The group went on to bash the country’s celebration of western holidays, claiming such celebrations were degrading the state of local culture. Despite the threats, Sean Paul is still expected to perform at the show, with the country’s tourism minister,Ahmed Adeeb saying they will not be intimidated by such claims. 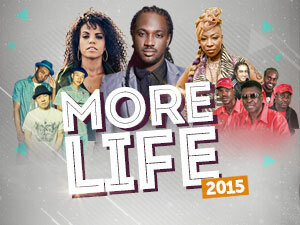 Neither Sean Paul nor his camp has responded to these threats or whether he will go ahead with the show. 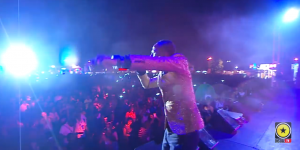 Sean Paul was invited to the show, set for the country’ capital of Male, by their government’s tourism department. The Maldives is a country in the Indian Ocean made up of several atolls; renowned as being a vacation spot and honeymoon spot. Sting 2014 came to a halt prematurely just as day break on Saturday morning after fights broke out backstage and in the crowd. In the early hours of Saturday morning just moments before the highly anticipated clash segment, a series of fight broke out that eventually ended the show. The first incident occurred when Major Mackerel came on stage but the promoters and MC Nuffy managed to get things under control. Shortly after that a fight broke out backstage between Demarco and Masicka camp, where bottles were thrown and shots rang out. 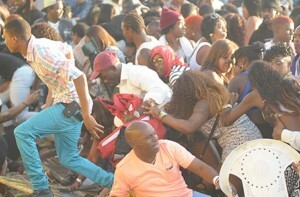 Again the promoters got things under control but not without a stampede in the crowd. Another incident occurred when Black Ryno came on stage for his rematch against Kiprich. A fight broke out in the crowd that sent everyone running for cover. Kiprich eventually came on stage with his entourage that resulted in a tense atmosphere. Cops eventually pulled the plug ending the show fearing that more fights could broke out. Several patrons outside the venue at Jamworld in Portmore express their disappointment inthe show. 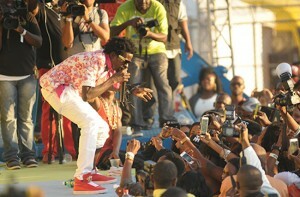 One female from Portmore said that she was only pleased with Gully Bop, the viral dancehall sensation. “A Gully Bop take Sting all the rest could have stayed home,” she said. Wally British, Jamaican comedian who rise to fame came through social media platforms is reaching unprecedented popularity with her brand new single ‘Oi Wally’ after a smash-hit debut tour in the uk. The track entitled ‘Oi Wally’ is well-lined reflecting her humorous and comedic personality. 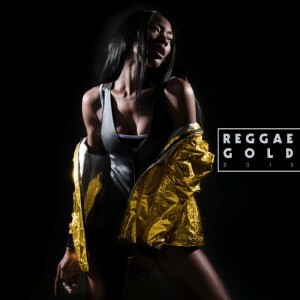 Wally British is the hot topic right now, and this her debut single track produced by Grammy-award winning producer Jazzwad & K-oss, whom also sets the tone of the track as feature artist, is typical of a fantasised dancehall love affair. 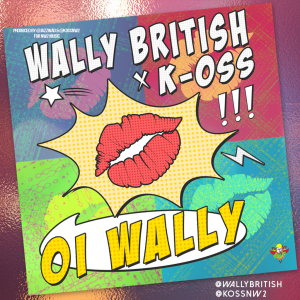 ‘Oi Wally’, released by NW2 Music is sure to create a massive buzz with dancehall fans worldwide. 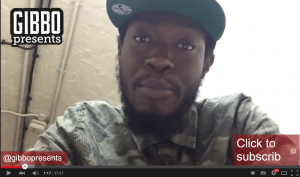 Jamaicans love a laugh, evidently, this is sure to strike up big social media hits!! One could say, ironically, dont miss the boat. 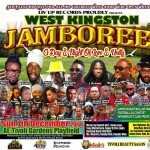 Jamaica get ready Wally British is coming for the sting. 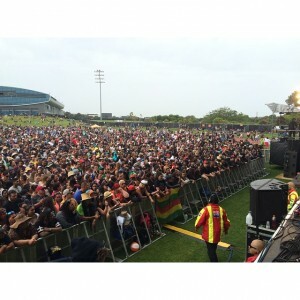 COMPARED to recent years, there was no flood of hit ‘riddims’ in 2014. There were some standouts though. The top five beats were Wul Dem, Happy Hour, Rising Sun, Good Book and Igloo. Produced by disc jockey Katrina ‘DJ Sunshine’ Irons, the Wul Dem was so huge, it spawned a follow-up called Wul Dem Again. Featured on the Wul Dem are What a Way We Shatting by IOctane, Wul De Claffy Dem by Alkaline and Duh Weh Yuh Waan by Mavado. 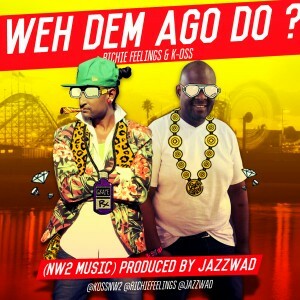 Wul Dem Again is driven by the popular Box Lunch by Vybz Kartel, Fool Fool Gangsta (Demarco) and Violate (Bryka). It was a good year for Jordan McClure and David Hale, the team behind Chimney Records. They enjoyed radio and chart action with two projects: Rising Sun and Happy Hour. 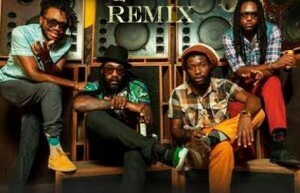 Rising Sun was released in late 2013, but did not take off until this year with hits including My Day by Tarrus Riley, Anything’s Possible (Tessanne Chin), Mi Alright (Kabaka Pyramid and Chronixx), My Destination (Zagga) and Better Way (Jah Cure). 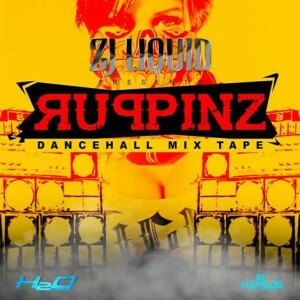 Happy Hour featured Kartel’s Mi Nuh Trust People, Free Up (Tarrus Riley and Zagga), Bagga Tings (Alkaline); and Bad Mind People (Beenie Man). 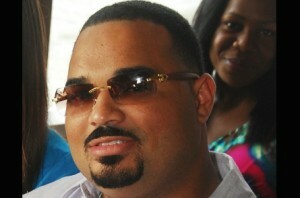 Michael ‘ZJ Liquid’ Brissett rode high with Good Book, his most successful production since 2004’s French Vanilla. Demarco’s chart-topper of the same name was the Good Book’s biggest hit. 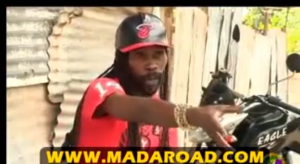 Delly Ranx (Silly Billy) and Aidonia’s Wuk Off Yuh Gal also did well for the Liquid beat. Producer Elvis Redwood’s So Unique Records got a lift thanks to the Igloo which enjoyed strong rotation with Vybz Kartel’s You Want Me, Money (Konshens), Family First (I-Octane) and I See the Light by Kip Rich. A man who was a key witness in the Vybz Kartel murder trial was shot dead in the Waterford area of Portmore, St Catherine this morning. Reports reaching OBSERVER ONLINE are that Damion Orrett also known as Ratty was in the community when a gunman alighted from a motorcar and shot him just before 9:00am. Another man was injured during the shooting and was taken to hospital. 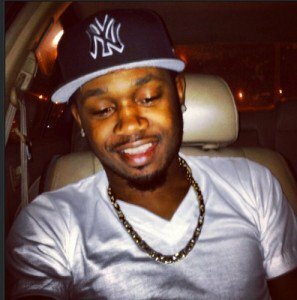 MONTEGO BAY, Jamaica — One of two gunmen who shot and injured nightclub manager and dancehall promoter Corey Todd early Thursday morning was shot dead by a cop during a gunfight in St James. Reports reaching OBSERVER ONLINE are that about 5:00am Todd was in the process of closing the facility when he was pounced upon and shot by two armed robbers. The bandits were reportedly challenged by an off-duty police who was passing by. 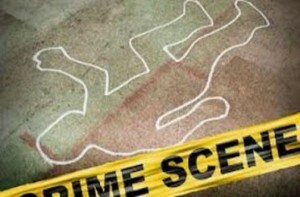 One of the would-be robbers was subsequently shot and killed, while his crony escaped. Todd was rushed to hospital where he is said to be undergoing surgery. The Independent Commission of Investigation (INDECOM) is investigating. 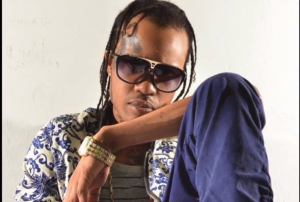 Todd, who once partnered with dancehall artiste Vybz Kartel, operates the Quad and Taboo Night Clubs in New Kingston and the Taboo Night Club in Montego Bay. Starting off in a caravan Rixton now Tour the World. 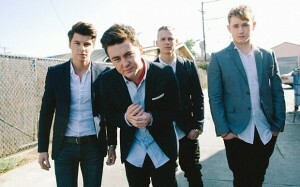 Pop-reggae boy band Rixton topped the charts with their debut single debut single Me and My Broken Heart this Summer after being signed by Scooter Braun – the hit-maker behind Justin Bieber, Usher and Ariana Grande – in 2013. 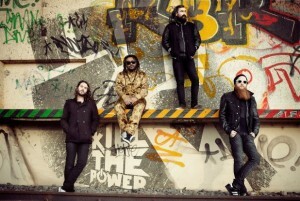 Their album, Let the Road, is due for release in March 2015. After Jake Roche moved into Danny Willin’s caravan in Blackpool, they soon drafted in guitarist Charley Bagnall and drummer Lewi Morgan whom they met through mutual friends in late 2012. Together they were Rixton. Almost immediately, they uploaded covers to YouTube, of which they swiftly amassed over 100,000 subscribers. Among them was Braun, who enjoyed their tongue-in-cheek rendition of Have Yourself a Merry Little Christmas. Signed, sealed and packaged off to the States nine months later, the lads’ success was cemented with appearances on The Voice USA and The Ellen Show, after host DeGeneres personally invited them on. These energetic performances proved Rixton had something different: “A lot of people assume we’re just another boyband, but we change their minds when they come to see us live,” says frontman Roche. The band have since toured sold-out venues in the UK and States. VPAL, VP Records’ subsidiary label teams up with Lady Saw’s label Diva Records to release her new album Alter Ego, available from November 18, 2014. The Queen of Dancehall is celebrating 25 years in the business with Alter Ego. The album puts her creativity on full display and showcases both the racy side of “Lady Saw” and the more subdued side of “Marion Hall.” The album features collaborations with Beres Hammond, Estelle, Ali Campbell ofUB40 and Flo-Rida. Judging by her latest singles, “Hoping” and “Me & Mi X”, Lady Saw is adding some extra sizzle to the holiday season and posed to ignite the charts. The Queen is back and she means business. Lady Saw is a musical pioneer. She is the first female Jamaican artist to win a Grammy, certify as a triple-platinum artist and headline dancehall shows outside her native country. Born Marion Hall in Galina (parish ofSaint Mary), she started her career on local sound systems like many artists on the island. As a female artist in a male-dominated world ofJamaican dancehall reggae, Lady Saw defeated all odds when she went on to top the Jamaican charts with “Find a Good Man.” In 1999, she had a major hit in the United States with “Smile,” recorded with Vitamin C, which peaked at number 18 on the Billboard Hot 100. The song was also a major hit in New Zealand and Canada and made certified gold with over 500,000 sales. In 2002, her collaboration with No Doubt, “Underneath It All” reached number three in the U.S. and sold more than three million copies, reaching triple platinum certification. The track also won a Grammy Award for ‘Best Performance by a Duo or Group.’ Lady Saw released a total of 6 albums on VP Records and then formed her own label called Divas Records. 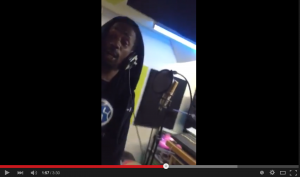 Izy Beats produces new Chudney J single ‘Gimme Love’. ‘Gimme Love’ a sweet, roots rock reggae island sound, infused with lyrics and harmonies that take your mind on an imaginative journey, inspired by sensual love. The single is already buzzing in Europeanmarkets due to some recent radio airplay, making this one of Chudney J’s most highly anticipated singles. When asked how the concept of the song came about, Chudney answered“It’s about me wanting love, searching for that guy that just makes me tingle inside..” (she laughs) she went on to say “I believe in love, real love, and I love the feeling of being loved and giving love”. “Gimmi Love” is available on iTunes for pre-order starting today November 8 2014, the single will be released on all digital platforms November 18 2014.